Shop Smart: Ask for current Shop Smart offer. Landlords, If you are looking to let residential property in Caterham area we give you the backing of a national brand coupled with local knowledge of the Caterham property lettings market. 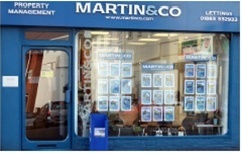 We offer a letting service, and a complete property management service. We can provide information on Rent Guarantee and Landlords Buildings and Contents insurance. Tenants. We have homes for rent in the Caterham area and throughout the UK. If you are looking for rented accommodation in Caterham please see our latest listing. The lettings market moves quickly so it is best to register with us a month before you need to move into your new rented house or flat.